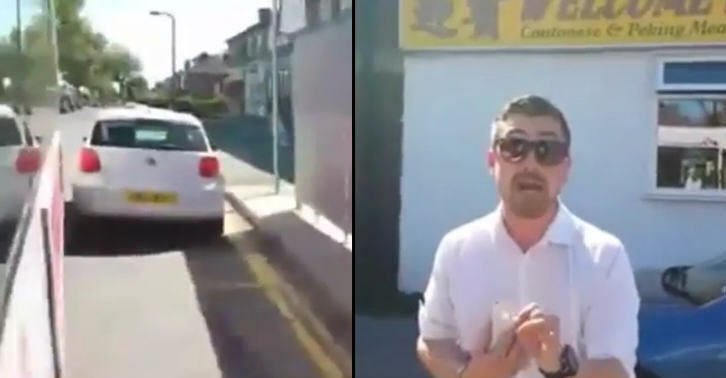 This video of a confrontation in Manchester is doing the rounds at the moment, and it’s not surprising, as it is jam-packed with entertainment. Basically, a bus driver pulls into his stop, while a car is parked in it on double yellow lines, with no driver in sight. He has a few minutes before he’s due to leave, so waits. The female driver of the parked car returns, and starts beeping. Then a knight in white armour shows up. 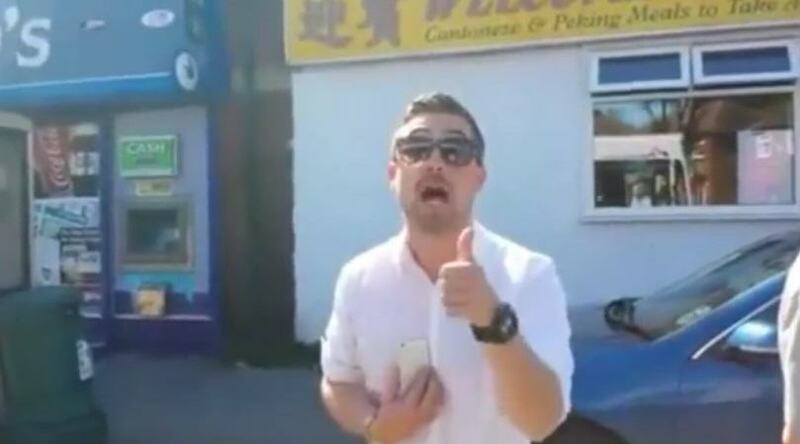 The video starts with the guy in the white shirt and sunglasses, who is also filming on his phone, obviously, asking the driver for his details. The driver shows his number, but does not give his name, which isn’t something he is required to do. He goes on to call the driver a bully, which is bizarre. The hero tells the driver that he is ‘arrogant, cocky and obnoxious’. Pot… Kettle… Black? He then goes on to tell him that he will make sure that the driver’s ‘career is jeopardised’ and calls himself a ‘highly professional trained person’. Oh no. You wouldn’t want to mess with a highly professional trained person. I have to tell you three times. I am a trained fighter, there’s one, two, I am a trained fighter, three, I am a trained fighter. I approached the bus stop and there was a car parked up in the middle of it with no driver inside and in sight. I pulled in as much as I could but my part of my bus was blocking that car. I had four to five minutes before my departure, so I switched the engine off and minded my own business. I didn’t even notice when the car owner came back and instead of asking me politely to let her out she started beeping at me so at this point I politely explained that I can’t leave my terminus early and that she shouldn’t be parked there anyway. A moment later this bloke turned up recording me on his iPhone and talking a lot, wouldn’t even let me say too much as he kept talking and shouting. I hope you enjoyed this video as much as we did.